One little boy’s unique form of a debilitating genetic disorder may help researchers find a treatment for him and others. 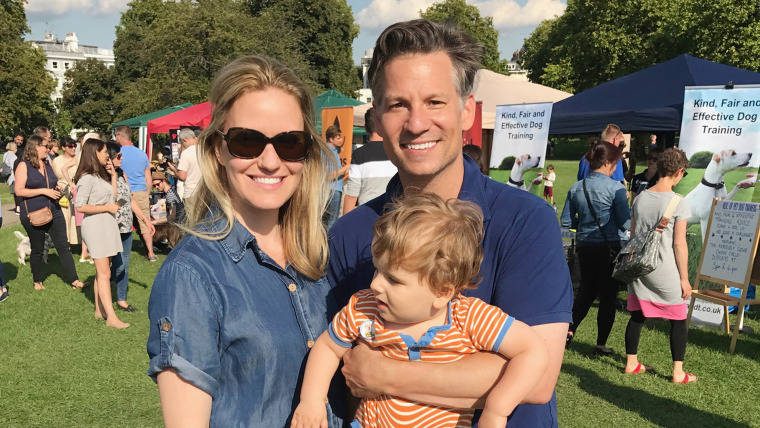 By studying the unusual form of Rett syndrome in the 2-year-old son of NBC News chief foreign correspondent, Richard Engel, scientists are coming up with strategies for treating the disease and a mouse model to test them. Rett syndrome is usually seen in girls — about one in 10,000 are diagnosed with the condition — because the mutated gene responsible for symptoms resides on the X-chromosome. Girls have two copies of the X, which means they have a functional copy of the gene to somewhat mitigate the effects of the mutated one. That means about 50 percent of their cells will make normal copies of the protein MeCP2, which is present in cells throughout the body, especially brain cells. Boys, who have an X and a Y, only have the mutated gene, which generally results in their death either in utero or shortly after they are born. There is currently no treatment or cure. Engel's son, Henry, is alive because his mutation isn’t severe enough to kill him, although it has affected the toddler's cognitive and motor skills. The protein produced by his cells is somewhat functional, albeit at lower levels than optimal. Engel and his wife, Mary Forrest, knew early on that something wasn't right with their son, Henry. Even as the boy approached the second year of his life, he couldn’t talk or clap his hands. He also couldn't walk or even sit up straight, Engel told TODAY on Tuesday. “It was a mystery and we thought, ‘Okay, well, there are late bloomers,’” Engel said. Without enough functional protein, the brain can’t cement connections that are built when a person acquires new abilities, such as walking and talking. There may be a potential for actually making things better or even significantly reversing the disease. Now the challenge is figuring out how you do that. Henry has offered researchers a window on the disease and made it easier to study because every single cell in his body has the mutated gene, said Zoghbi, an investigator at the Howard Hughes Medical Institute and a professor and director of the Texas Children’s Duncan Neurological Research Institute at Baylor College of Medicine. Fortunately, the disease doesn’t kill brain cells. So if a way can be found to boost levels of the protein or correct the actual gene, people with the disease would be able to start learning everything they couldn’t before treatment. And this might result in a complete cure, especially in children. The most promising evidence for that comes from animal studies, Neul said. Using a mouse model that allowed the gene to be turned off and on, researchers showed that when the gene wasn’t working, the mice developed Rett-like symptoms. When the gene was turned back on, the mice got better, Neul said. Some groups are working on a treatment that would help girls, by turning on the working copy of the gene in cells currently running with the dysfunctional one, said neurologist Dr. David Lieberman, director of the Rett Clinic at Harvard Medical School’s Boston Children’s Hospital. Another group is looking at the possibility of using gene therapy to deliver normal copies of the gene to cells in the brain, Lieberman said.